Golf cart parts can be purchased from your local golf cart dealer, but why make the trip when you can save time and money buying them on line? Most on-line suppliers have technicians available to help you if their customer representative isn't knowledgeable in the area that you need. Parts with the OEM (Original Equipment Manufacturer) parts numbers can be found in the manufacturers OEM manual. If you don't have a parts manual listing the parts number, don't worry, all you need is the make, model and year of your golf cart. 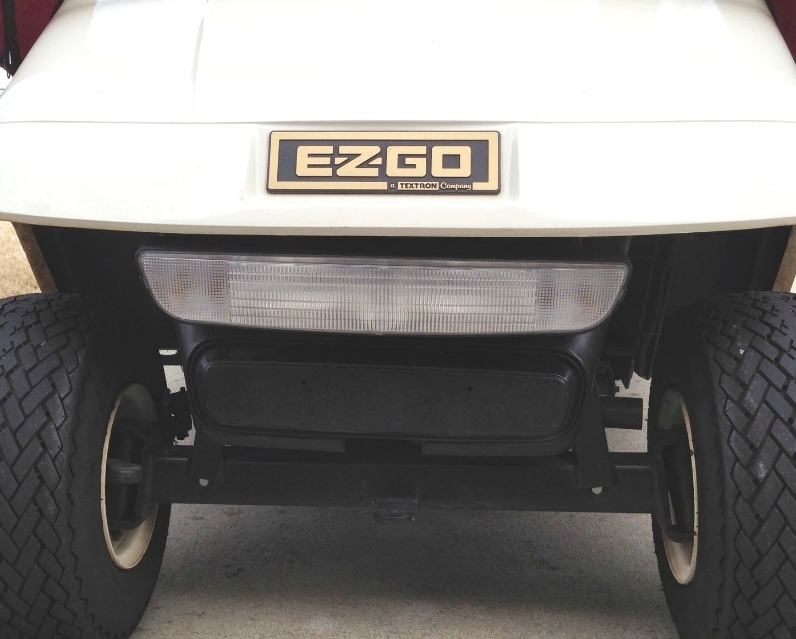 An important number for you to know or at least know where to find it, is the golf cart serial number. The serial number provides important information about your cart - one being the year that it was made. Many times, in order to buy the correct golf cart part, you will need to know not only the make and model of your golf cart, but also the year that it was manufactured. 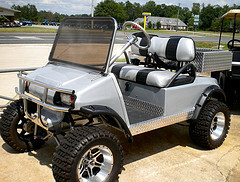 However, there are many discount golf cart parts on several websites, such as Buggies Unlimited. To find the manufacturer code look in the passenger glove box. The last two digits are the model year. 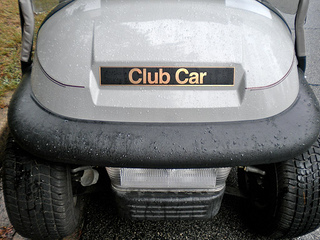 Looking for a Club Car golf car part? 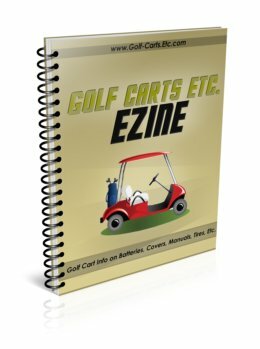 You will need to contact your local golf cart dealer or look on line. 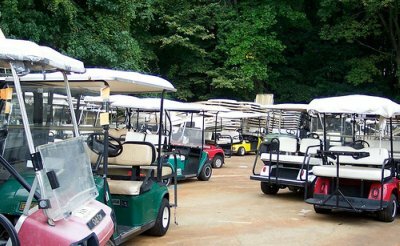 The Club Car website does not offer any parts, but other sites like Buggies Unlimited can provide you with any part you need. 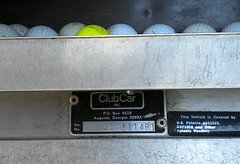 You will need to know the model and year of your Club Car. DS (2000.5 & Up) One piece back rest, black top supports. Roof has handles. The plaque with the serial number is located at the lower edge of the dashboard under the passenger side glove box. The first two numbers are the model year of the cart. However, you cannot purchase parts from their website, but you can perform a search to find a local authorized Yamaha Golf Cart dealer. But again, it is easy to find Yamaha golf car parts on line. At Buggies Unlimited you just go to their website choose Yamaha golf car parts and then you need to know the year and model of your golf cart. Used parts can be used instead of buying new ones - I know, I just put in a used solenoid in my 1987 Club Car and it now works like new. Of course how do you find these used parts? Well in my case I was (again) on Craig's list looking for a Club Car Repair Manual and I got a response (from no less a neighbor) who works on Club Cars in his spare time. 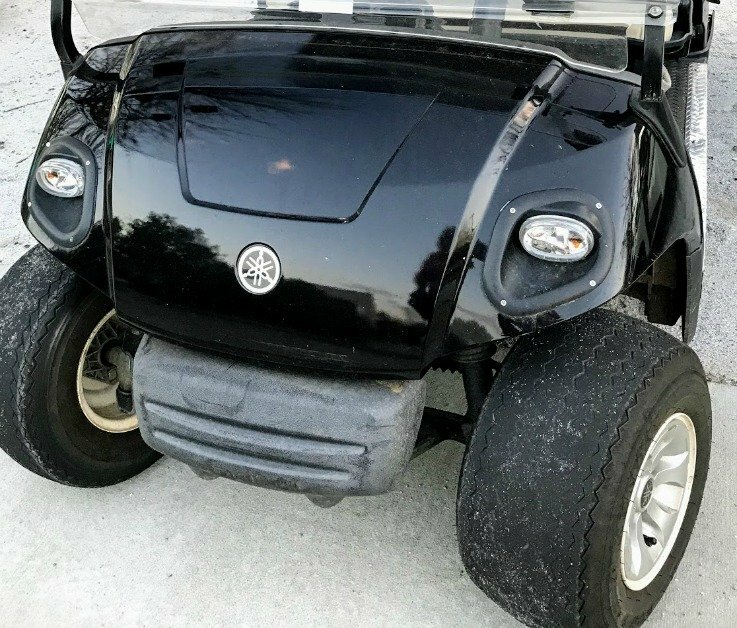 Anyone who wants to take their golf cart off the smooth pavement and unto some rough and uneven terrain, will need a cart with more clearance. Lifted golf carts are great for hunting or just for some fun off road adventure. If your refurbishing an old cart or maybe just want to customize your cart with a new steering wheel, you can find a golf cart steering wheel in lots of different finishes and features. Another option that's much cheaper is to get a steering wheel cover. 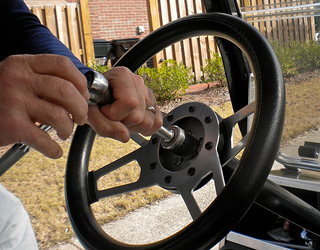 Adding a custom steering wheel accessorizes your golf cart in a way that makes your cart different than all the others. 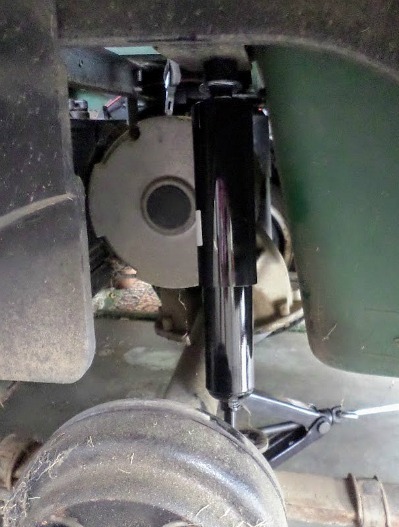 Golf cart shock absorbers need to be periodically replaced for a more stable and smoother ride. Avoid a stiff ride and absorb rough terrain bumps and dips by replacing your shock absorbers. There are front and rear shock absorbers and the sets can be bought separately. This golf cart part is specific to your golf cart make and model. 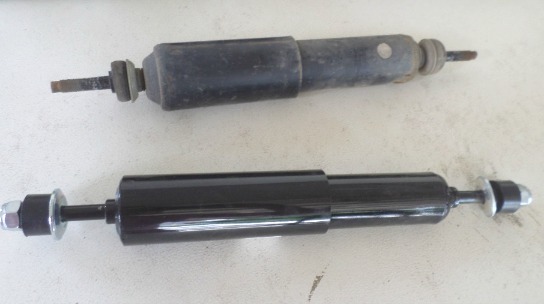 Once you replace this golf cart part you'll remember what it was like to ride your cart when it was new. Golf cart performance parts can enhance the power and speed of your cart. What parts to replace depends on how you use your cart and where you use it.